If you’re a motorcyclist, it is vital that you know your rights. In the event of a motorcycle accident in the Inland Empire, this knowledge will help you determine whether you are entitled to reparations or not. Whether you know your rights or not, it is still encouraged that you seek out legal counsel if you have been injured in a collision involving a motorcycle. A motorcycle accident attorney will be able to review your case, educate you on the rights available to you, and recommend the best course of action based on the distinct details of your case. A motorcycle accident attorney is an attorney who understands the intricate laws pertaining to motorcyclists, so there is no one better equipped to handle your case. Understanding your motorcycle rights begins with understanding the motorcycle laws, especially those that you must follow when operating a licensed motorcycle – whether you’re riding around Riverside, Rancho Cucamonga, Temecula, or Ontario. 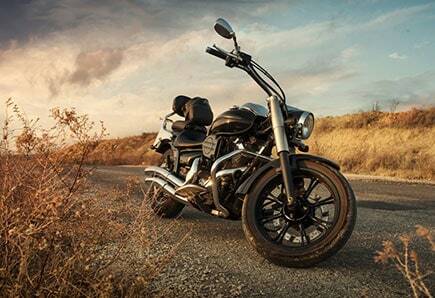 The laws that you are expected to follow in the state of California are the same for motorcyclists as for all other automobiles, trucks, and commercial vehicles. However, there is one unique exception for motorcyclists in California that sets the state apart: In California, lane-splitting is permitted for motorcycles, but not for any other vehicle. Lane-splitting permits motorcyclists to share a lane with other vehicles, but it must be done in a safe, prudent and reasonable fashion for it to be considered legal. Lane- splitting is only considered legal when traffic is moving slowly or is stopped, and the motorcyclist is lane-splitting to move to the front of the line. If you are involved in a motorcycle accident that involved lane splitting, you may need to prove that you were doing so safely and prudently in order to avoid being liable for the accident. If you have been involved in a motorcycle accident, you may feel overwhelmed with the prospects of going through the process of filing appropriate claims, documenting the losses, seeking medical attention, etc. Seeking legal assistance should be one of the first steps that you take. Your motorcycle accident attorney will be able to tell you what your rights are and what steps to take to secure a more favorable outcome. A motorcycle accident attorney is someone with the experience required to inform you of your rights and advocate for you throughout the process. There is absolutely no reason why you should have to go through this process by yourself. Inland Empire Motorcycle Law can assist you with your motorcycle accident claim. Call us at (951)290-3664 to find out more about what we can do for you.